A quick way to alert workers to dangerous electrical sources is to tag them. 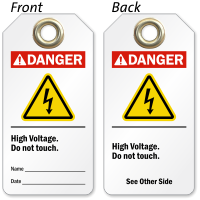 Our high voltage tags let you mark energized machines and other equipment with necessary information to prevent accidental contact, unauthorized and untrained handling. 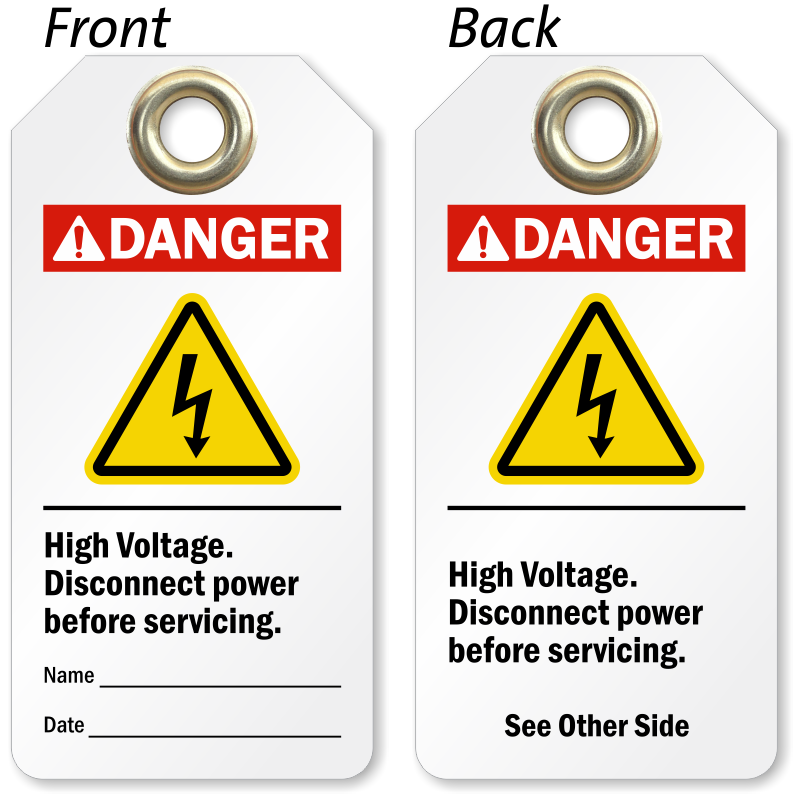 • Add relevant information on your tag using a pen or marker. 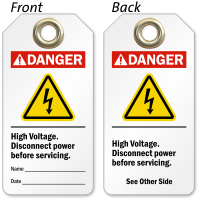 • We offer tags in varying thickness — find from low cost 10 mil plastic to “credit card thick” 30 mil plastic. 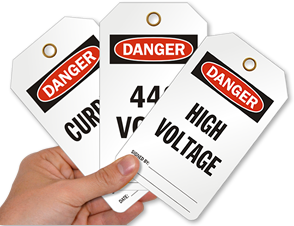 • Tags resist tearing, water splashes, chemical spills, and offer great pull strength, making them a suitable option for indoor and outdoor application. • All tags have an eyelet or a two-part grommet.